It’s time to pre-release the next Minecraft update! Dinnerbone has fixed a couple of more issues since the 12w50b snapshot, as well as adding a sound indicator when you hit players with arrows in player versus player! Many issues have been fixed! We intend to release 1.4.6 on Thursday, December 20! Updated snapshot for week 50! We haven’t managed to do any other vids on the snapshot yet but keep an eye on our Minecraft Snapshots show updates. Hello there, I have been meaning to do an official 1.4.2 post for some time, I took so long that Jeb managed to sneak out a 1.4.3 pre-release. Since the release of the Pretty Scary Update we’ve been super-busy trying to fix as many reported issues as possible. We’ve now reached the point where we’ve fixed so many that we spend more and more time wondering “haven’t we fixed that already?” and “I wonder if this will break anything else…” In other words, it’s time to look forward to a new official update! If nothing serious happens, we intend to release 1.4.3 next Wednesday. Well that was quick.. I’m sure I only did a 12w42a/b post yesterday..
Woho, time to get ready for 1.4! This release is the full 1.4, intended to prepare server admins and mod makers. Searge of the Minecraft Coder Pack has already been informed, as usual. This release will be pushed to the public on Wednesday, October 24! Since the snapshot yesterday we’ve fixed some bugs that were reported, as well as including new sound effects for the Wither, bats, the anvil and finally the Ender Dragon! There isn’t that much about yet but we are planning a 1.4 pre live-stream later this evening. Swing by the M1neTube channel and check it out. We have another Snapshot for you. The redstone repeater lock mechanism is now slightly more stable / predictable. It’s still not 100% as we want it, but fixing it completely will require bigger changes that we’ve planned for Minecraft 1.5. I know this is the last Snapshot but it shows some of the new features.. Sadly the Anvil crafting has been updated since. Lets go try it out! DoneyKebab here.. Bringing you another Minecraft Snapshot update.. This was found to have a few bugs that needed fixing, no game-breakers though. 12w40b was released on Friday fixing some minor issues. 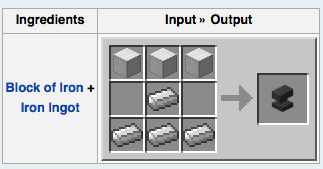 Read all about these on the Mojang Blog. p.s. check out the Mojang Office.. It looks so amazing!